Glycolic acid, also known as hydroxyacetic acid, is a type of alpha hydroxyl acid. It is a versatile acid used in products from cosmetics to industrial cleaning solutions. The simplest of the alpha hydroxyl acids, the small organic molecules of glycolic acid contain both acidic and alcoholic properties. Pure glycerin is actually glycerol, an alcohol. Glycerin refers to the impure, commercial version of glycerol. Glycolic acid is found naturally in grapes, beets, other fruits and sugarcane and is nonflammable. Glycerin is found naturally in fat and is extracted from the fats involved in soap manufacturing. Glycolic acid has negligible odor and low toxicity. Pure glyercin is odorless and nontoxic with a sweet taste, but crude glycerin, the byproduct of biodiesel production is neither odorless nor nontoxic. Glycerin dissolves in water or alcohol, but it will not dissolve in oils. It is also a solvent because certain substances dissolve more quickly in glycerin than in alcohol or water. Years ago, the primary use of glycerin years was making dynamite. Glycerin has also been used to lubricate molds, as an anti-freezing agent for hydraulic jacks, as an ingredient in printing inks and to preserve science specimens. Pure glycerin might cause blisters but diluted with water, glycerin acts as a skin softening agent. Glycerin can be used as a base for lotions and is used to make pure soaps — soaps that melt quickly in water. Glycerin is used in conserving preserved fruit and in candy and cake making. It may also be safely used in cough and acetaminophen syrups. Woodside, Patricia. "Differences Between Glycolic Acid & Glycerin." 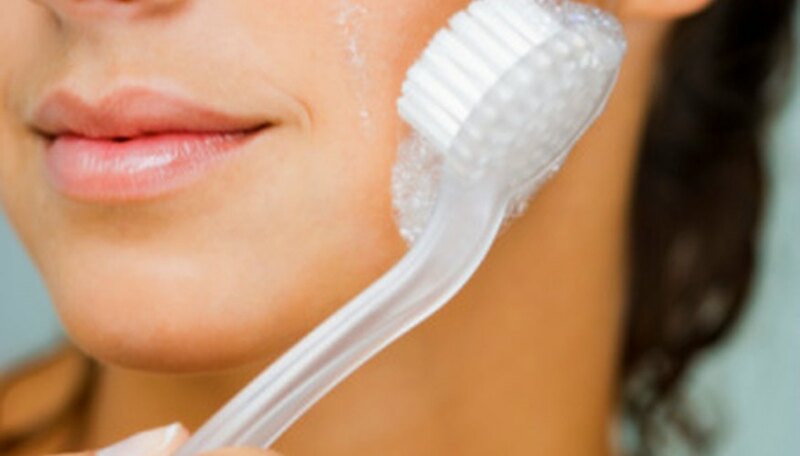 Sciencing, https://sciencing.com/differences-between-glycolic-acid-glycerin-8062972.html. 25 April 2017.